Very Sad News! Chris Lowe called the remix Frankie did for "Left to my own devices" Rubbish!!! Topic: Electric Lyrics on OS ?? Re: Electric Lyrics on OS ?? I was wondering the same and do they appear in the CD? is getting ready to ship. can anyone confirm if Astralwerks is releasing this and when. total price is $30.00 which is high for a us domestic release. My email price for this purchase is $21.00 since I pre ordered this In January 2012.
redsock wrote: Works for me. Could be a hub being over-loaded on your side of the pond Dez with all the extra traffic tonight. Yeah within the USA people are flooding for information on such a sad loss. 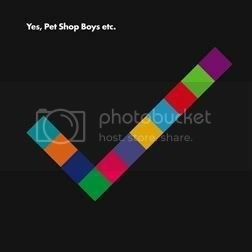 looks like the michael jackson death has crashed the pet shop boys site. I am doing this all by paypal, which has an easy convert ration bewtween Countries.